Marriott Vacation Club is recognized as one of the top timeshare programs worldwide. Whether you enjoy the white sandy beaches of Aruba, scenic mountain views in Colorado, stunning Paris views, or the nightlife of Las Vegas, Marriott Vacation Club has a location for you to enjoy. Based in Florida, Marriott has many years of timeshare developer experience. Marriott Vacation Club offers the ultimate in vacation flexibility with a deeded, point-based ownership program. Ask us about Ritz Carlton fractional ownership. Destination points are points you purchase in order to stay at a vacation resort. Points have a value system. So the more points you purchase, the more vacation options you receive. How do Vacation Club Points work? 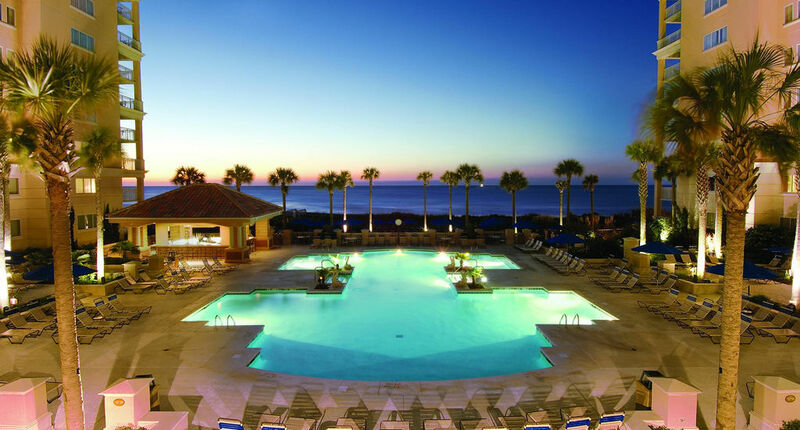 At Marriott Vacation Club, points are assigned a value. This value depends on the unit size, length of stay, location of vacation, and the season of your choosing. Owners who are in the Marriott Vacation Club Destinations program don’t need to use this points system. Just by being members of the program, they can choose from any location, any resort, any size villa, and check in on any day they wish and stay as long as they want. However, members of this program can still use Vacation Club Points if they wish to try out other types of vacations such as cruises, tours, exchanges, hotel stays, and travel services. Do points transfer on the resale market? Yes, points will transfer on the timeshare resale market. What is a “home resort”? The home resort is the resort where you have purchased your property. For instance, if you purchased a property at Marriott’s Maui Ocean Club in Maui, Hawaii, then that resort would be your home resort. Keep in mind that you could still vacation at different Marriott resorts. The perks of points-based vacation ownership with the Marriott Vacation Club Destinations program is that your points are renewed each year, providing you with the option to choose a different vacation destination every year. Currently, there are more than 5,000 unique options and experiences that you can try with Marriott Vacation Club. So to answer your question, you could travel to your favorite destination year after year or change up your vacation routine by going to a different Marriott resort. The option is yours. What is a legacy week? A legacy week is a week that you purchase as a floating or fixed week of timeshare at any of the Marriott Vacation International Resorts. As an owner, you are able to use your week at your home resort or exchange it for any other destination through Interval International. If you buy a Legacy week, you cannot convert your week into points; however, if you purchase Destination Points, you will get only points. What are the closing costs for legacy weeks? Depending on the sales price and the location, the closing costs for legacy weeks will run somewhere from $375 to $800. There is also a $125 Marriott transfer fee. A ROFR is the “Right of First Refusal.” When you purchase a timeshare on the timeshare resale market, the Marriott developer has the right to review the sales agreements. If the price is too low, the Marriott will buy it back. If the Marriott does not buy it back, it will be “waived” and the closing process is allowed to proceed. What are the closing costs for the Destination Points? If you are purchasing Destination Points with Marriott Vacation club, then you will pay $500 per beneficial interest with a minimum of $3000. For first time buyers of points, there is an education fee of $300. The waiver fee for Destination Points is $95. How far in advance can you book? You can book any time based on availability of accommodations. However, you have to book at least 14 days prior to the vacation date.